Truly, there can be some negative aspects to homeschool co-ops, and we want to avoid or prevent as many problems at Academy Days as we can. As a Christian co-op, we try to keep our focus on what the Lord wants for our children. We are also respectful of the fact that our families are homeschoolers first and foremost. Our goal is to go along side the parent and enrich what they already do at home. Co-op is not a school! The primary teacher is always the child’s parent, not the co-op teacher. Unlike some local co-ops, we do not administer tests nor assign grades. Our weekly classes are spent on discussions, debates, simulations, re-enactments, experiments, and hands-on activities that enrich studies at home, such as the science experiment pictured at left. Since co-op meets only once a week, the majority of coursework is completed at home, so really only the parent knows the full extent of her child’s knowledge in a subject. It stands to reason that the parent, then, would be the one to assign grades. Only high school classes and a few junior high classes actually have homework. All kindergarten and elementary classes are enrichment only. Co-op is supposed to lift our burdens, not increase them, so co-op is all about projects, experiments, educational games, simulations, re-enactments, learning activities, discussion, debate, arts and crafts that can be completed during class time. We do not want homeschooling families stressing over homework in addition to regular curriculum studies at home. Plus, only the parents know how their child learns, and that child should be free to learn that way without pressure to conform to the majority. As a result, the responsibility for homework is placed on teenagers, who should be learning how to manage their time anyway, particularly in preparation for college. Even then, because some families use a different curriculum at home, we try to be reasonable regarding homework even for high schoolers. We do not want co-op to be a source of illness for any family. A standing rule is to stay home if you or your children are sick or even just recovering from an illness. We have a substitutes list and a list of illnesses, and we expect members to be symptom-free for 24 hours before they return to co-op. As a result, we do have a lot of absences, but we much prefer filling in for an absent parent than catching a cold from a sick child or teacher. Co-op is not a drop-off service, so we do not have children running around without parental supervision. If your child is at co-op, then you must be, too. As a small Christian co-op, we lovingly correct and encourage our children and try to channel their energies into positive directions. Plus, we intentionally keep classes small to prevent a “crowd-control” situation during class time. Except for PE, classes are limited to 12 students, although the number usually ranges between 4 and 10, as pictured in this 5th-6th grade creative writing class. Many hands make light work! You do not have to teach, but all parents at least commit to helping in a class. Everyone gets one break period in the four-period day, and usually two. Additionally, most classes have two teachers, so teaching each week does not fall on just one person. Furthermore, teaching itself is limited to lessons and activities during class time; teachers do not have to correct homework nor prepare and grade tests. Also, every class has at least one parent helper, if not two, for additional help. We aim to keep co-op affordable. Unlike other local co-ops, no one at co-op gets paid, and all our workers are volunteers with a degree, special knowledge or passion for the subjects they teach. Class fees, which range from $2 to $15 for the entire 14 weeks, pay for materials only. Because many of us homeschool on a budget, we diligently search for the cheapest copier in town and research the Internet for the lowest prices on books, so we can pass those savings on to our members. A group cannot function efficiently without some organization. Written procedures help our group rely on a plan instead of on quick decisions made in a crisis. Plus, guidelines ensure our safety and help us manage the use of the facilities that the Lord has provided for us. We know that parents and children are most comfortable in an environment where they know where they are supposed to be and what they are supposed to do in any given situation. We try to provide that structure while at the same time maintain flexibility. As a result, our co-op runs very smoothly; indeed, many of our members who used to participate in other co-ops have stated that our co-op runs more smoothly and comfortably than any others they have attended. Personality conflicts and misunderstandings may be inevitable in a group environment, but we aim to manage them by proactive means. To prevent becoming a “mega co-op,” we limit membership by keeping classes small. In addition, we have written procedures which help everyone understand expectations. Also, we advocate the resolution method commanded by God, that of peacemaking – which includes overlooking an offense, reconciliation, negotiation, mediation, arbitration and accountability. We started Academy Days co-op in fall 2006, so we are still a young co-op. Each semester we address a new issue and smooth out fewer and fewer kinks. As we do individually in our own lives, we are working on perfection! Your website has been very helpful, but I would like to ask you some questions. Now that we have the EIN are we required to file for any type of status? Are we going to have to fill out any IRS forms yearly or be responsible for any tax payments? Also, when I applied for the EIN I listed us as a social organization because I thought that described our group better than the other choices since we only meet so that our families can socialize and enjoy activities together; was that an accurate description or do homeschool groups classify as something else? Any insight you have on our situation would be much appreciated. I’m glad my website was helpful. It sounds as if your getting your group onto the right track.Here’s a blog post that you might find helpful: Will getting an EIN put us on the IRS’s radar?Many homeschool groups classify themselves as nonprofit educational organizations because they are co-ops or offer educational activities like classes and field trips. A support group could be considered a social club as you chose. I have helped homeschool organizations apply for tax exempt status with the IRS several times. Homeschool groups typically apply for 501c3 status as an educational organization, but a few apply for 501c7 status as a social club. 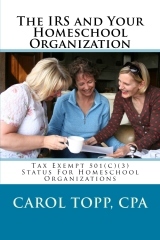 A more in depth explanation of 501c3 and 501c7 status can be found in my book The IRS and Your Homeschool Organization. Here’s a great article about how a homeschool co-op helped one family with their concerns about socialization. Cheryl Littlejohn and her husband Tom have been homeschooling for five years. Before that, Derek and Carrie were attending a local private Christian school affiliated with their former church. When changes in the church and school made them uncomfortable with the children’s educational situation, they began looking into homeschool programs. The parents had two major questions: Would homeschooling be an effective choice in their education, and would they miss out socially? In the end, they decided to give it a try. “When considering our educational choices, in light of the changes in our lives, we felt that homeschooling was best for our family,” Cheryl said. The socialization her kids get at the co-op is the other key to the Littlejohns’ homeschool success. Five years later, all worries Tom and Cheryl had about their children’s socialization and academic progress have been dismissed. Their resources are plentiful, their schedule is flexible, and they can customize the curriculum. They plan field trips with other homeschooled families — an IMAX movie about the Lewis and Clark Expedition and a trip to a feline rescue center in Clay County are examples — and vacations rely only on Tom’s work schedule, which allows them to do things like take an extended off-peak trip to Europe. And she’s not worried about her kids’ future any more than any other concerned parent. The education they’re getting is sound — Derek is the president of the local branch of the National Honors Society for Homeschoolers — they’re well-developed socially, and they’re tuned into college preparation. Five years ago, she was afraid of the stigma, but the accessibility of the SAT and ACT levels the playing field. Even if parents did inflate their kids’ grades, the proof would be in the pudding when it came to standardized testing. Can a homeschool co-op be denied 501(c)(3) status? I frequently learn a lot about nonprofit law from Harvey Mechanic’s All Experts Site. Mr Mechanic is an attorney that does a fantastic job of answering all sorts of questions about nonprofit law. I always learn a lot. Recently, a parent from a small private school mentioned the need to do fundraisers and have everyone “do their fair share.” That is a pretty common expectation in activities involving children like youth sports leagues, scouting, etc. But to my surprise, Mr Mechanic has a problem with the “fair share” idea. http://viewer.zoho.com/docs/s2ca6g on page 6 stated “The reason you were created and your method of operation indicate that you are made up of a group of parents who have joined together to work cooperatively to provide funds to pay for the participation of their children in athletic events. The expenses incurred by these children would otherwise have been paid by the parents. All parents of competitive team members are automatically members of your organization. Accordingly, members expect to receive a benefit in return for their membership. You pay no benefits to non-members. Wow! So does that mean homeschool co-ops cannot obtain 501(c)(3) status? Oh, no! I spend a lot of time helping homeschool co-ops obtain 501(c)(3) tax exempt status. I have been successful many times. I even wrote a book, The IRS and Your Homeschool Organization, telling homeschool organizations how and why to become a 501(c)(3) organization. Am I wrong? Or is Mr. Mechanic incorrect? Neither. Or rather, it depends on how your organization is structured and your purpose. If your homeschool organization is a support group that is “made up of a group of parents who have joined together to work cooperatively to provide funds to pay for the participation of their children in athletic (or educational) events.” you do not qualify for 501(c)(3) tax exempt status. But you can qualify for a different IRS tax exempt status called 501(c)(7) Social Club status. I am assisting a homeschool support group that has a few co-op classes, but their main purpose is to join together to support each other in homeschooling. They are applying for 501(c)(7) as a Social Club. They will receive many of the benefits of tax exempt status, but not quite the same a 501(c)(3) status. What about your homeschool organization? Would you qualify as a 501(c)(3) charity or 501(c)(7) Social Club? How can you decide? It depends on your activities, purpose and structure. I can help you sort out the differences. Please contact me about a phone consultation to help you determine which status is best for your organization. If you need help discerning the tax exempt status of your homeschool organization, send me an email at Carol@HomeschoolCPA.com. 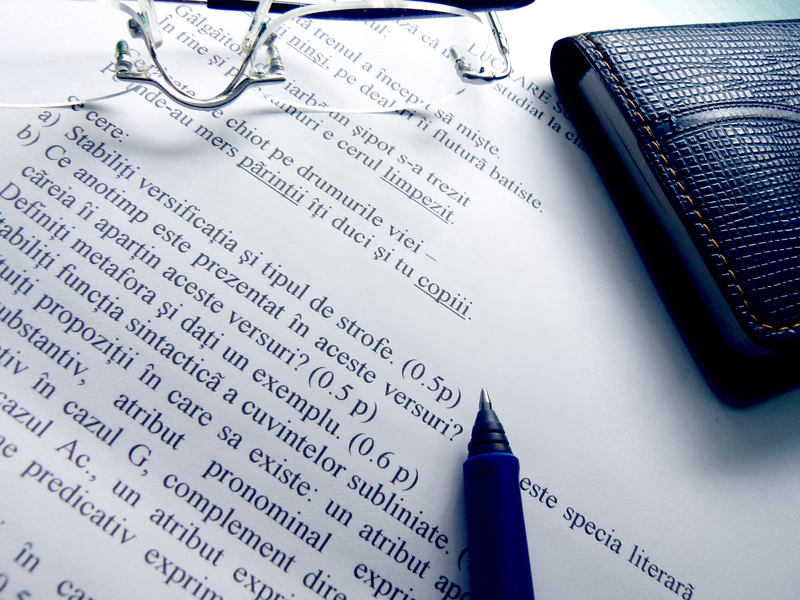 We can arrange a private consultation to discuss your particular situation. 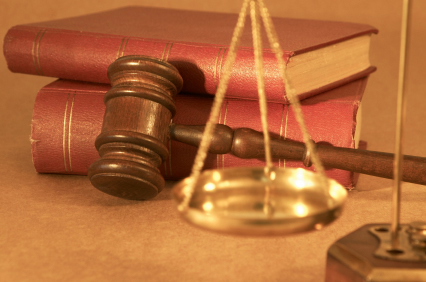 What are the legal responsibilities of homeschool leaders? We are hesitant about linking personal Social Security Numbers to the group EIN. What legal ramifications does putting personal SSN info on the group form have for that individual? The IRS form SS-4 Application for Employer Identification Number asks for the name of a responsible party and either a SSN, ITIN (tax ID for aliens) or EIN (for businesses). You asked what are the legal ramifications of putting a name and SSN on the EIN application for a nonprofit organization. The answer lies in the responsibility of leadership. All leaders, officers or directors of a nonprofit has some responsibilities. Each board member has a fiduciary (i.e. legal) duty of care and loyalty to manage the organization and its funds within the purpose/mission of the organization and not for private gain or benefit. The board’s job is to govern the organization, be responsible for the management of funds, and be responsible for its programs. Those are the “legal ramifications” of leadership. Fully participate in Board meetings, deliberations and decisions. Read, evaluate and ensure the accuracy of all reports, including minutes and financial statements. Ensure the organization has sufficient people, funding and other assets to meet its purpose. Always be thinking about, and focusing on, the priorities of the nonprofit, and not that of yourself or another organization. Share ideas, opinions and advice to forward the progress of the nonprofit. Represent the nonprofit in a favorable light. These definitions and examples come from an excellent article on board responsibilities found at Managementhelp.org, a great website with lots of articles on running a nonprofit. Most of these fiduciary (legal) responsibilities are not too heavy for any loyal board member. I think they are very reasonable. It might be a good idea to share them with new and old board members. So next time someone asks, “What are my responsibilities as a board member?” or “What are the legal ramifications of putting my name on an IRS form?” you have an answer to give. In the past week, I have received two emails from homeschool leaders in MD and CA with a surprisingly similar situations. In both groups, a small number of homeschooling families were joining together to hire a single teacher to teach their children once or twice a week. Both groups were very small, only seven families total, but they were paying each instructor quite a bit of money-$11,000 annually in one case and $17,000 in the other. This meant that they exceeded the IRS threshold of $5,000 annual gross revenue and needed to consider filing for 501c3 tax exempt status. They had several concerns such as a contract with the teacher, how should the teacher be paid and could the group qualify for 501c3 tax exempt status as an educational organization? I found your website and found it to be most interesting and helpful to homeschool co-ops. I would like to schedule a personal consultation with you. I am part of a homeschool group that informally hired a teacher to teach certain classes in past years, but this coming year the teacher wants a contract. I saw your website and had some general questions for you. Appreciate your ministry to homeschoolers. We are trying to decide whether our group should be a sole proprietorship owned by person or try to establish a nonprofit. What would be the pros and cons of each? What if we can’t afford to file for tax exemption at this time? What are our choices if our gross receipts are around $11K/year? When to become a 501c3? I offered a private phone consultation and discussed the concerns and options with the leader from MD. I explained that I doubted the IRS would grant 501c3 “qualified charity” status to a group with only seven families. An IRS qualified charity is supposed to serve a public good, not the needs of only seven families. Instead of pursuing 501c3 tax exempt status, we discussed that the hired teacher is really running a for-profit business (a sole proprietorship) with seven families as her customers. I shared with her several sample contractor agreements the teacher could use in her business. There is a sample contractor agreement available in my ebooks Money Management in a Homeschool Organization and Paying Workers in a Homeschool Organization. Thank you again for the consultation. It answered a lot of questions for me, and I appreciate your support. Thank you also for the contractor agreements – I have been reading through them. If you have a unique homeschooling situation and would like to schedule a private consultation with me, please send me an email at Carol@HomeschoolCPA.com. Tell me a little about your group and we can arrange a mutually convenient time to talk. Homeschool co-op teachers influence the future! So many wonderful people have influenced my daughters by teaching at our homeschool co-op. I will be forever grateful to them! When Amy Puetz announced she was looking for stories form homeschool graduates, I asked my daughter, Emily, to write something. When I was in fifth grade, my mother enrolled me in a homeschool co-op because she thought it would be “good for me.” Unfortunately, I was less than enthusiastic about the prospect of trying something new and facing “real teachers.” In hindsight, however, I can see that the co-op was one of the greatest blessings of those years of homeschooling! The volunteer instructor for my public speaking class was a veteran homeschool mother, Mrs. Hill. In her class, I learned how to follow a syllabus, complete weekly assignments, and learn from a teacher other than my own parents. I also benefited from Mrs. Hill’s patient encouragement and instruction, as she shared her passion for communicating for Christ with my class. Because each of my co-op teachers led a class in her area of expertise, their passion developed my love for learning beyond what I would have experienced working with just my mom and sister at home. Although I did not particularly enjoy speaking in public, I appreciated Mrs. Hill’s encouragement. Specifically, her praise—from a source other than my parents—reinforced my self confidence and motivated me to work diligently even in my least favorite subjects. On the car ride home from co-op, I would frequently say to my mother, “Guess what I learned from Mrs. Hill today!” The co-op provided a unique opportunity to learn from other adults, without sacrificing the integral element of family from my homeschool experience. Amy is offering this as a fee ebook at her website. If you as a homeschool parent, leader or co-op teacher need a bit of encouragement, read Amy’s Thank You book. It will be the “shot in the arm” you need! 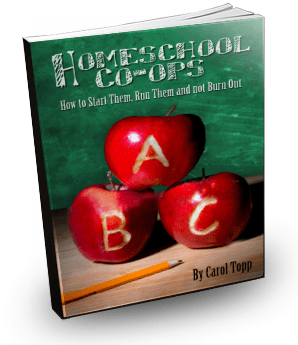 I am pleased to announce that Homeschool Co-ops: How to Start Them, Run Them and Not Burn Out is now available at Rainbow Resource, the largest homeschool catalog I have ever seen, with 1300+ pages! I love that catalog. I spend hours looking through it. I am honored to now be included in its pages! Read more about Homeschool Co-ops here.